Loquantur RHYME is a referral list of specialty resources for our clients to use to create a better experience for their customers. These professionals can help raise your business image. Choose from a variety of professional Translators, Copywriters and Voice Over artists for your personalized phone message recording. Our interpretations/translations are based on using native speakers for each target language. They understand the nuances and idioms and ensure that your message is accurately communicated to convey the tone and sense you want. Looking for the right voice to tell your story? YOU’VE FOUND IT! 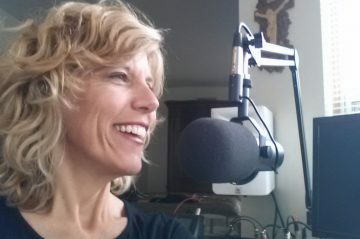 Elizabeth is a professional voice over artist, on-air radio personality, international speaker, award winning author of 15 books, and NYC-trained advertising and marketing writer. Let her powerful combination of experiences and skills give voice to your message. Professional voice actor providing voice and voice production services for radio, tv, online and web video, eLearning, and telephone messaging. Professional voice actor when quality matters. If you are looking for a young to middle aged male Voice Over Actor that can deliver a Compelling, Sincere, Warm, Friendly, Smooth, Upbeat, Authoritative, Energetic, Conversational, Fatherly, Sinister, Honest, Animated, Encouraging, Believable, Soft to Hard Selling message … we should talk. Make sure that your On Hold messages provide callers with some useful information and keep them on the call.